Kiev 60 Arsat 45mm f3.5 Kodak Tri-X 400 Adox Adonal 1:50 - From Wikipedia "The First Baptist Church, a historic Baptist church located at Lynchburg, Virginia. It is built of hard-pressed red brick on a rough granite foundation. The main facade of the church, facing Eleventh Street, and the two sides are centered with large rose windows framed within Gothic arches covered with hood moldings. Construction began in 1884 and the church was dedicated in 1886. In the 1920s, Lynchburg architect Stanhope S. Johnson designed the complementary Sunday School annex. In 1941, the interior of the sanctuary was modified by Stanhope S. Johnson, with the creation of a divided chancel. 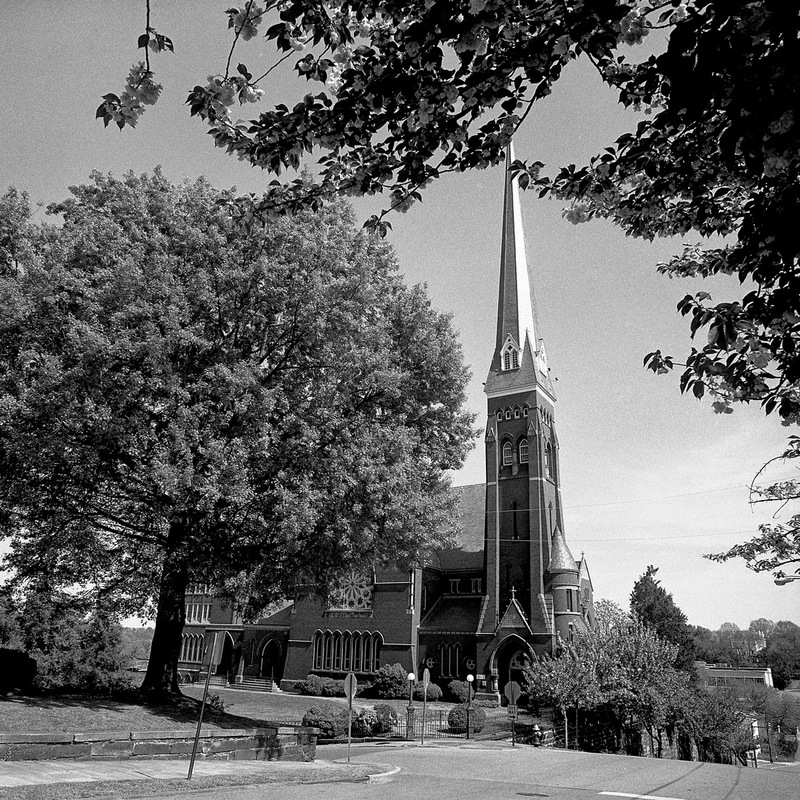 It is home to the oldest Baptist congregation of Lynchburg, established in July 1815"
Scanned with and Epson V500 Photo using Epson's OEM software.